After a long thinking process, and hours spent on the web - we have made a decision of where to take my New Orleans cousin. 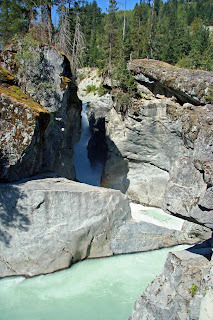 We will go to Nairn Falls, BC provincial park. We have a 30 foot motor home, so it will be 6 of us traveling... My kids, my hubby, my sister, cousin and I. It will be so much fun. We thought of taking her there, because, after all, New Orleans has swamps not beautiful cool lakes and mountains. She should know what she's missing, no? This picture is one of the ones I found on the net... I will post our pictures after the trip. 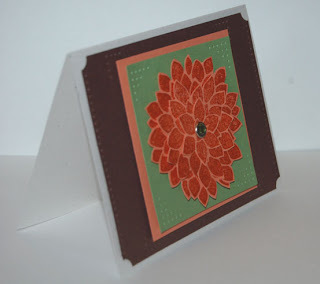 I have made lots of cards in the last week, but I also sold lots (unfortunately quite a few I didn't even have a chance to take a picture of). Other ones, I will try to take pictures today and post them tomorrow. Blog you then. Second post of the night! What to get for a 65 year old ex-fisherman? 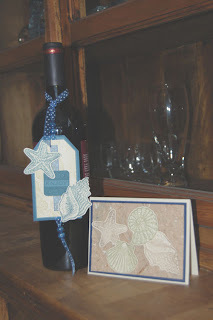 This was the first wine tag I've ever made. I will be making a lot more of those. I have about ten days to come up with a place to go to once my cousin is here for a visit. She lives in New Orleans, and was here before. She has seen the city, we took her to Victoria... This time she would like to go and see some of our wilderness. So, I am thinking Manning Park or some of the lakes around Squamish, maybe Alice. We will see. We're taking our RV in for a check-up on Monday, so we will be definitely ready. Kids are already excited to meet her, she hasn't been here since I had my babies. And I get to see my favourite cousin again!!! Well, I am not doing so well on this blogging thing. 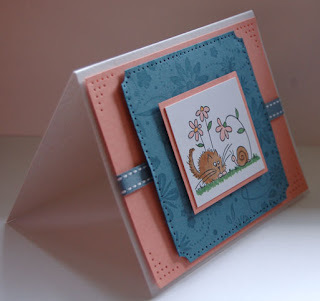 I seem to find time to make a card, but not to take a photo and upload it. LOL. True, I like making them better. This is the one I made for Clipper Street online challenge. 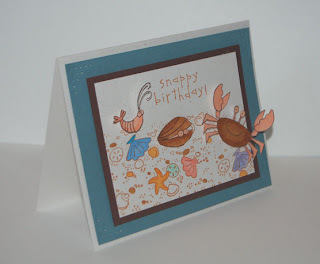 We had to use any stamp from Fluffles line by Stampendous. 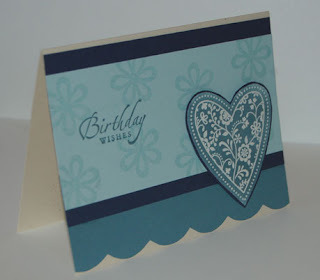 So, I paired it up with Blue Bayou, Groovy Guava and Blue Bayou ribbon from Stampin' Up. Fluffles and the snail were coloured with Copics (I think I will love these new toys!) and layers were pierced. 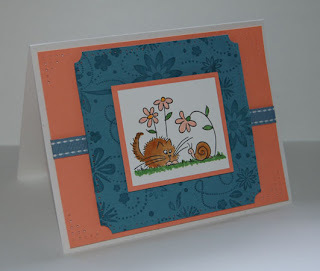 Blue Bayou was rolled on with one of the Stampin' Up wheel stamps inked with Versamark. Simple, but I was pleased how it turned out.